Volvo has received nearly 80,000 orders for its XC40 compact SUV. Volvo will expand output of its XC40 in Belgium and start production of the compact SUV in China next year to meet stronger-than-expected demand, the company said Thursday. The Swedish automaker also promised to widen its compact family with a range of new models to replace the current V40. A company spokeswoman said that the new models, which will be underpinned by the automaker's Compact Modular Architecture (CMA) will not be hatchbacks, but she declined to provide further details on the body styles that will be added to the range. Volvo has received nearly 80,000 orders for the XC40, which is the first model to use the CMA. The platform, which was co-developed with sibling brand Geely Automobile, is also shared with Lynk & CO, a Chinese-backed startup that is partly owned by Volvo. Production of the XC40 is currently being expanded to Volvo's factory in Ghent, Belgium, by making output of the compact SUV a priority over other models made at the plant, a company spokesman said. This move is possible because Volvo is phasing out production of the current-generation S60 sedan and V60 wagon in Ghent, the spokesman added. Global output for the new-generation S60 will take place at Volvo's new U.S. plant, which will start production later this year. The main production site for the new V60, which debuted in February, will be the company's factory in Torslanda, near Gothenburg, Sweden, although some output of the new V60 will continue in Ghent. Volvo declined to provide more details on current or future production targets for the XC40 or the Ghent plant overall. European versions of the Lynk & CO 01 will also be produced in Ghent on the same line as the XC40. The plant has an annual capacity of 270,000 to 290,000 vehicles while current output is about 230,000, officials said during a recent a tour of the factory. IHS Markit expects Volvo to sell 128,000 XC40s globally at the SUV's peak in 2020. This will be led by China (26,000 sales), the U.S. (18,000) and the UK (15,500), the firm predicts. Volvo, which was bought by Zhejiang Geely Holding from Ford Motor in 2010, will also start producing the XC40 at its factory in Luqiao, China, in the first half of next year. The Lynk & CO 01 is already being built in Luqiao. "The XC40's success has surpassed even our highest expectations," Volvo CEO Hakan Samuelsson said in the release. The XC40 was named European Car of the Year in March. It is Volvo's first model in the fast-growing premium compact SUV segment, where is competes against the BMW X1, Jaguar E-Pace, Audi Q3 and Mercedes-Benz GLA. 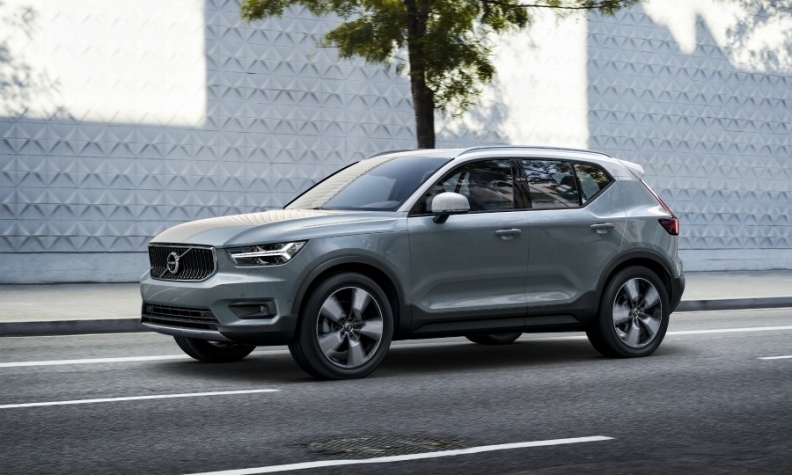 The XC40 and its sibling compact models are crucial to Volvo's plan to increase its global sales to 800,000 vehicles by 2020 from more than 571,000 last year.